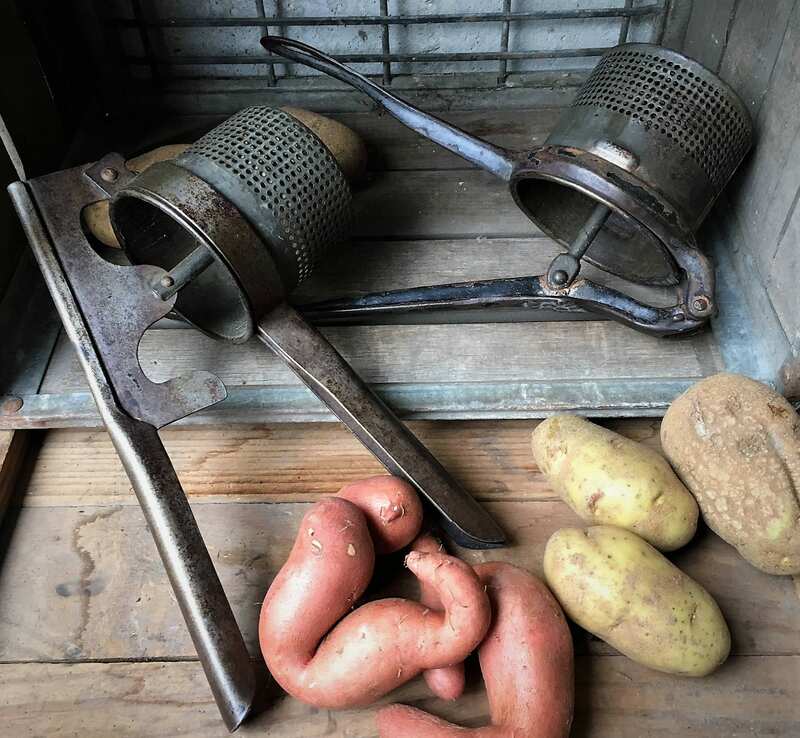 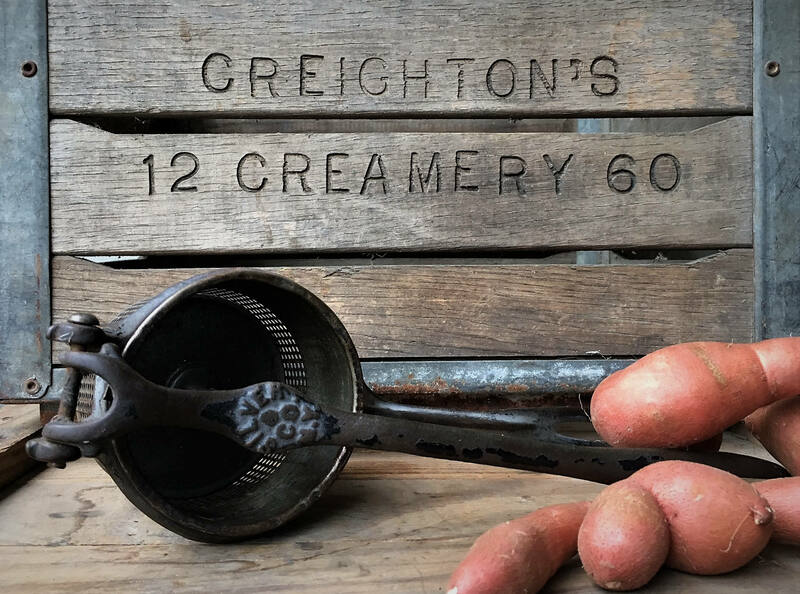 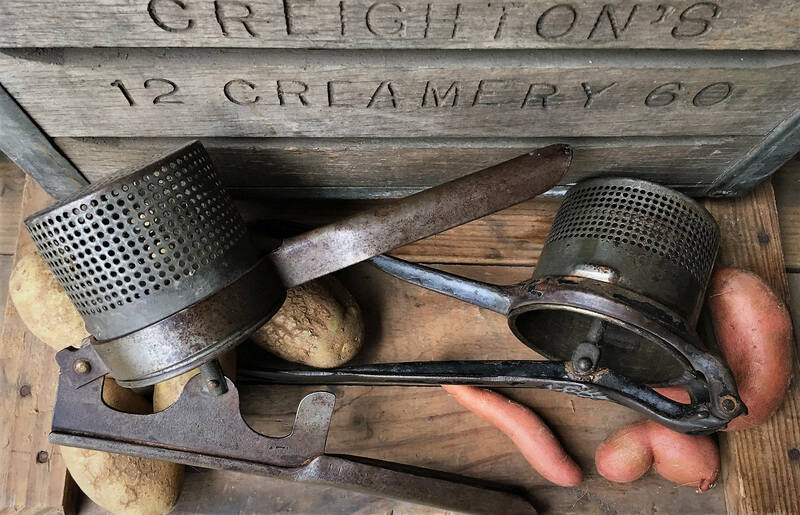 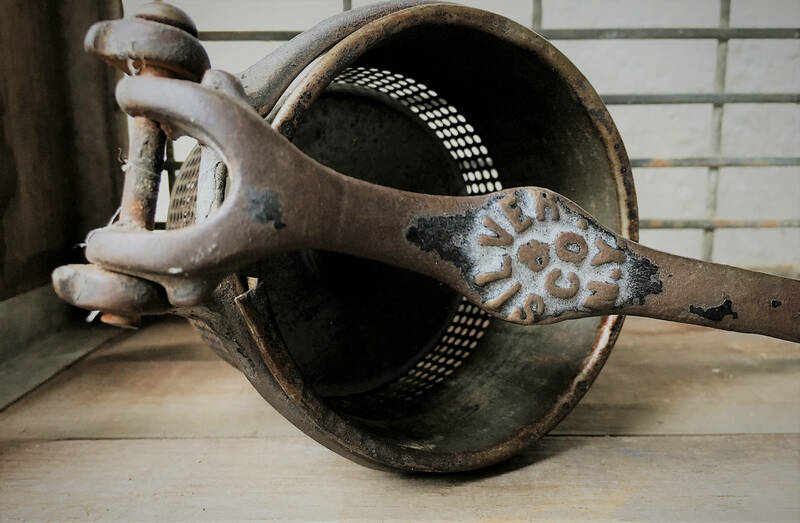 Featured here is a pair of primitive potato mashers or ricers. 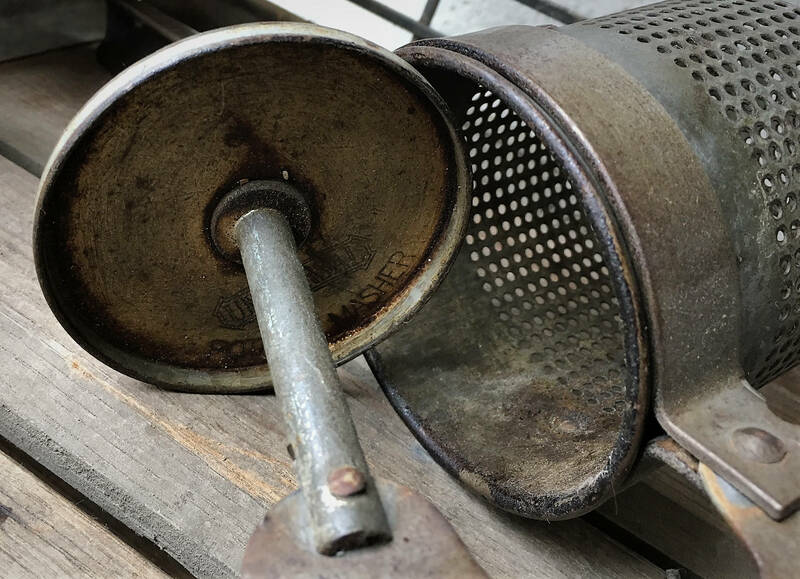 One is made by Universal, and the other is made by Silver and Company out of New York. 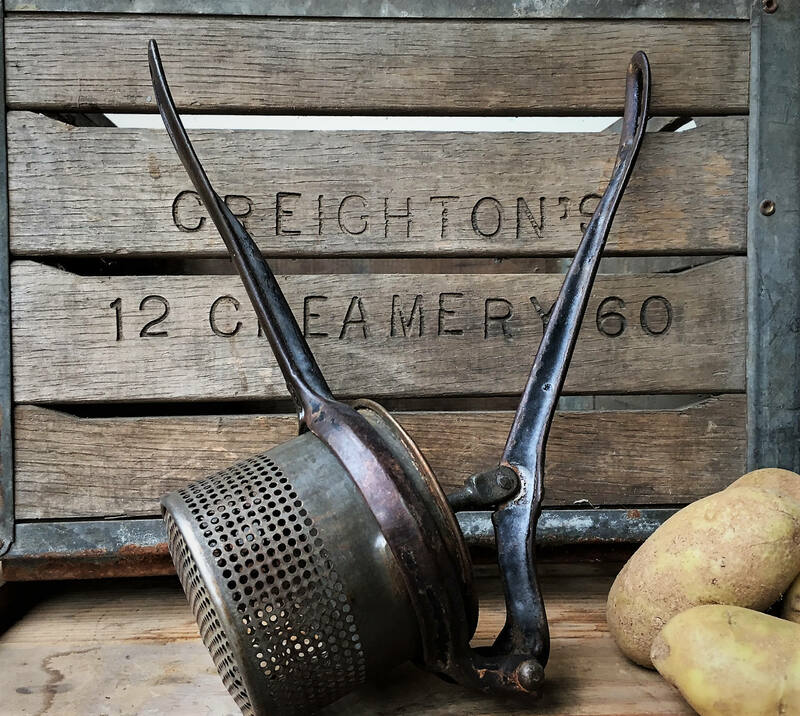 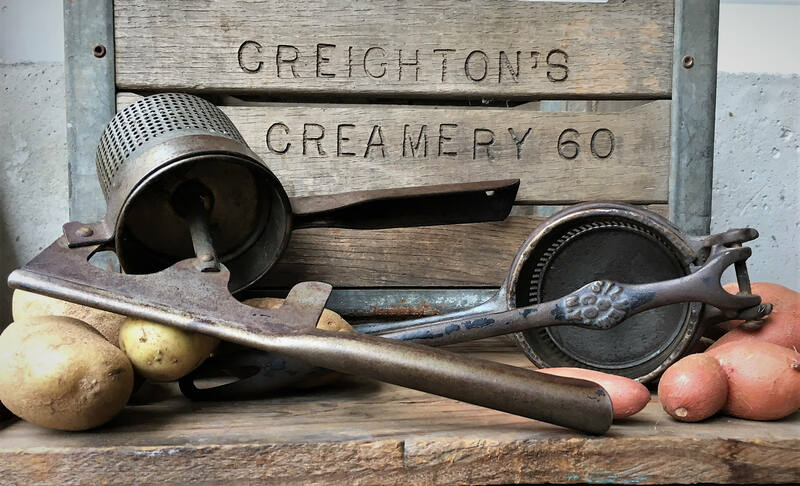 These are awesome vintage pieces that would make great accents to a farm or county kitchen.